How to watch Dirty John: Season 1 (2018) on Netflix Netherlands! Yes, Dirty John: Season 1 is now available on Dutch Netflix. It arrived for online streaming on March 8, 2019. 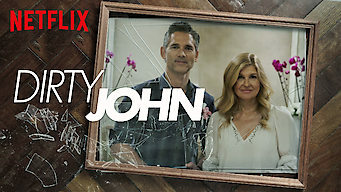 We'll keep checking Netflix Netherlands for Dirty John: Season 1, and this page will be updated with any changes. Businesswoman Debra Newell's life unravels when she falls for the lies and manipulation of con man John Meehan. Based on the true-crime podcast. She's looking for love. He's hunting for prey. When there's a shark in the dating pool, anyone can be a target. Season 1 of Dirty John has 8 episodes. Because different Netflix countries have different availability for episodes, you'll need to check the episode listing below to see which are available in the Netherlands. Despite her family's misgivings, affluent Newport Beach interior designer Debra Newell rushes headlong into a romance with John Meehan. 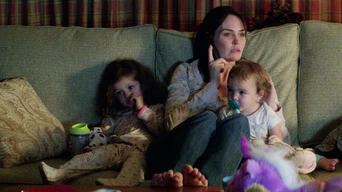 Ensconced with John in a luxurious new house, Debra brushes off warning signs about the relationship. Veronica, however, acts on her suspicions. Shaken by what she discovers about John's shady background, Debra plots her next move. In the past, a chance encounter exposes John's treachery. Forgiveness in the present and past intertwine as Debra wavers on what to do about John, while years before, her mother deals with a family tragedy. Out of the hospital and ailing, John lures Debra back in as her family freezes her out. 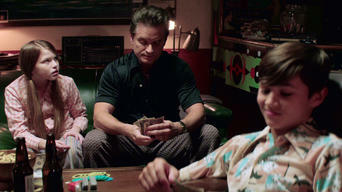 Meanwhile, flashbacks explore John's twisted family dynamic. Debra and John's meeting with a lawyer leaves everyone rattled. In flashbacks, a dogged cop closes in on John with help from the first Mrs. Meehan. A different view of John's grifter operation exposes the lies and threats he uses to manipulate his targets, including an increasingly fearful Debra. As Debra attempts to move on with her life, John's anger finally boils over, leaving a member of her family in a desperate fight for survival.